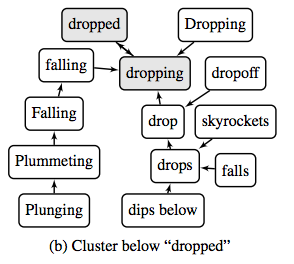 A couple of weeks I came across a paper titled Parameter Free Hierarchical Graph-Based Clustering for Analyzing Continuous Word Embeddings via Abigail See's blog post about ACL 2017. The paper explains an algorithm that helps to make sense of word embeddings generated by algorithms such as Word2vec and GloVe. 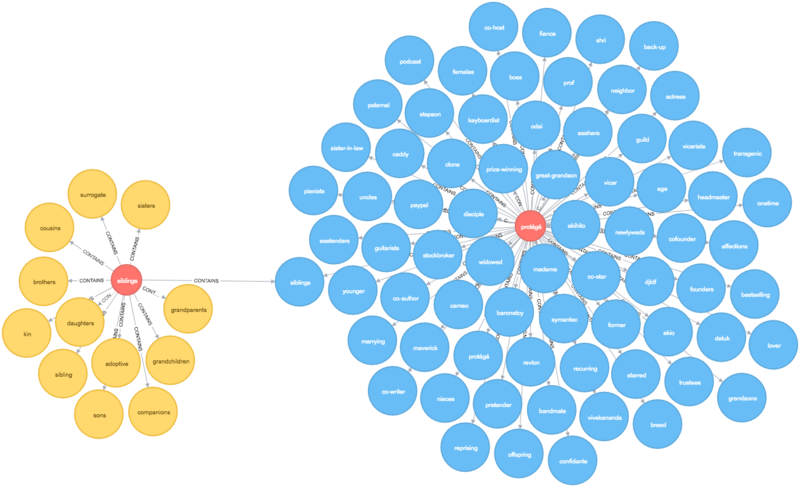 I’m fascinated by how graphs can be used to interpret seemingly black box data, so I was immediately intrigued and wanted to try and reproduce their findings using Neo4j. 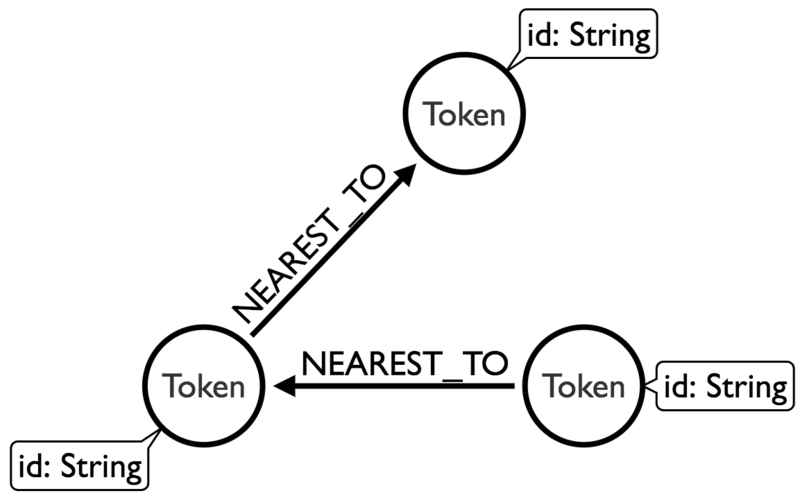 We can use the Neo4j graph algorithms library for Step 2 and I initially tried to brute force Step 1 before deciding to use scikit-learn for this part of the algorithm. 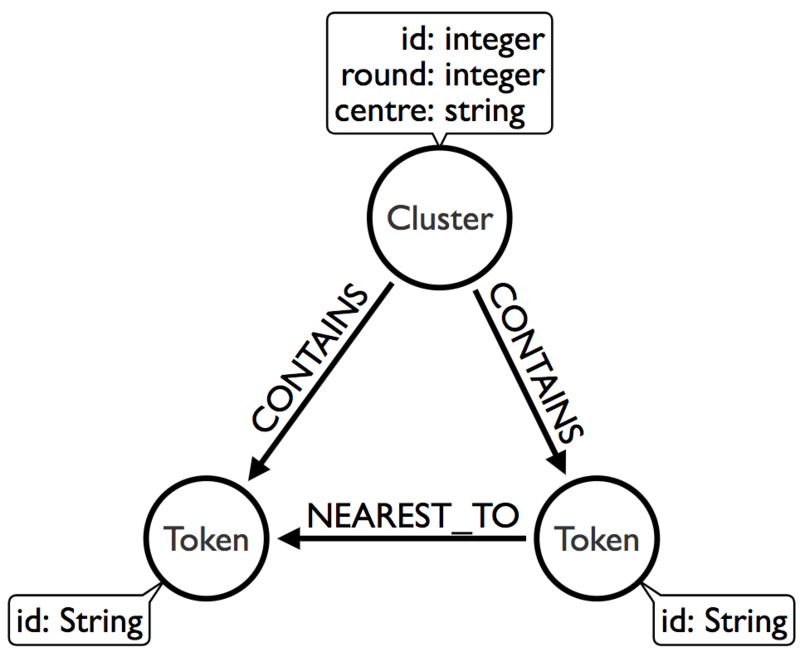 Now we’ll load the words into Neo4j - one node per word. I’m using a subset of the word embeddings from the GloVe algorithm, but the format is similar to what you’d get from Word2vec. Now we need to make this process recursive. 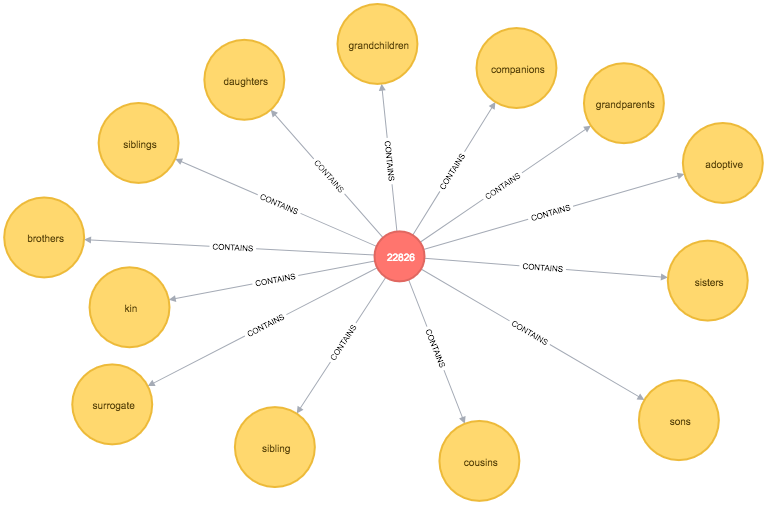 The output is quite cool - siblings is the representative node for our initial cluster and it takes us into a 2nd level cluster containing words such as uncles, sister-in-law, and nieces which do seem similar. There are some other words which are less so but I’ve only run this with a small sample of words so it’d be interesting to see how the algorithm fares if I load in a bigger dataset. I’ve run this over a set of 10,000 words, which took 23 seconds, and 50,000 words, which took almost 10 minutes. 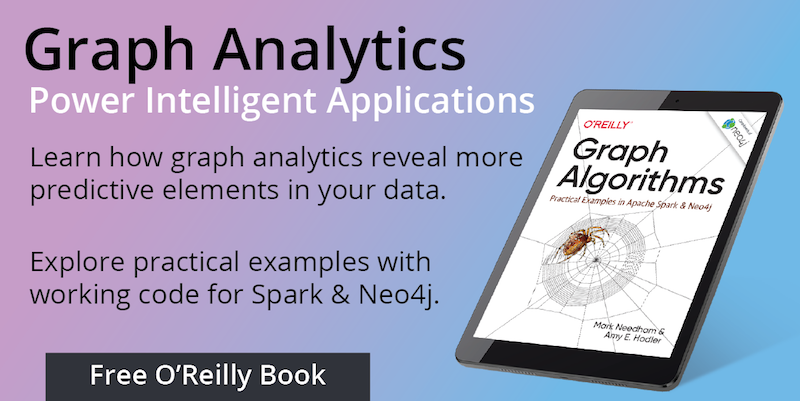 The slowest bit of the process is the construction of the Nearest Neighbour Graph. Thankfully this looks like a parallelisable problem so I’m hopeful that I can speed that up. 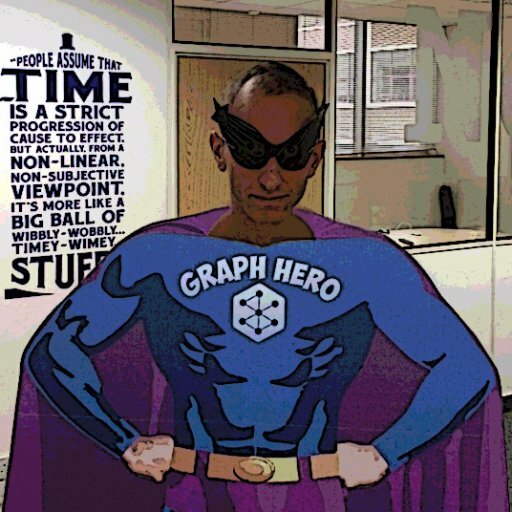 The code for this post is in the mneedham/interpreting-word2vec GitHub repository so feel free to experiment with me and let me know if it’s helpful or if there are ways that it could be more helpful.